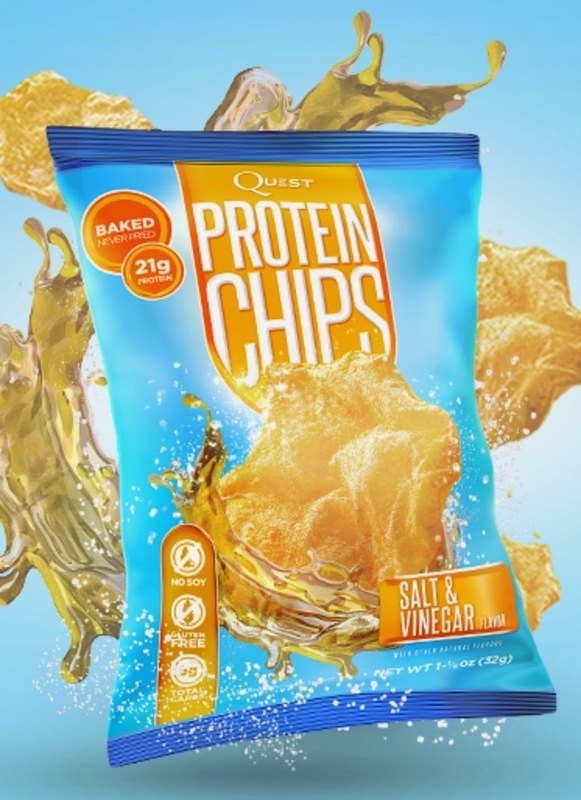 Disclaimer: I received a sampler pack of QUEST protein chips for review & GIVEAWAY purposes. I was not requested to write a positive review. All opinions are my own and I have received no monetary compensation for this post. Welcome to Day 6 of 11 Days of Giving! Thank you so much to QUEST Nutrition but most of all, thank you for you! What a great end to the year giving away 11 of my very favorites! Remember when I told you about QUEST bars? Well, those crazy guys have done it again and are now bringing you QUEST chips! A protein chip?? What in the world? Well, check out the ingredient list: Protein Blend (Milk Protein Isolate, Whey Protein Isolate), Dried Potatoes, Corn Starch, High Oleic Sunflower Oil. Contains less than 2% of the following: Sea Salt, Calcium Carbonate, Natural Flavors. They have 21 grams of protein! Best of all, they have recipes on their website using the Quest chips. Like this one for garlic mashed potatoes made with their sour cream and onion chips. Or this one for Chicken & Waffle bites using the sea salt variety! I know what you really want to know. Do they taste like chips? No. You don't buy these or eat these hoping they will replace your Kettle Cooked potato chips. You buy these to replace the need for a salty crunch. You can dip them in salsa or in a spruced up greek yogurt dip for a filling satisfying crunch. With a crap ton of protein too! So, now 3 of you will get a chance to win 2 packs of each flavor for a total of 10 snack packs. That's BBQ, Sea Salt, Salt & Vinegar, Sour Cream & Onion and Sour Cream & Cheddar. My favorite are the Sea Salt & Vinegar! Enter to win on the Rafflecopter! No purchase necessary. Void where prohibited. 3 winners will be selected via the Rafflecopter widget. Open to Residents of the US 18 years of age or older. Must have a non P.O. Box mailing address. Winner must have a valid email address. If original winners do not claim prize within 48 business hours an alternate winner(s) will be selected. Winner will be provided the prize directly from QUEST. Substitutions unlikely but may apply. SD Mom not responsible for failure of sponsor to deliver product. Good Luck and be sure to come back tomorrow for a Nutty Nog recipe and a Nuttzo GIVEAWAY! I have not tried Quest Chips and would love the chance as they sound scrumptious! I'd most enjoy trying their Classic Sea Salt! I would love any of the flavors, I've been dying to try these! I've tried a few but my favorite was Cheddar and Sour Cream! I haven't tried any of these yet and would love to! I haven't tried any of these yet (can't find them! ), so I'd like to try any of the flavors! I haven't tried them but salt and vinegar sounds great! I haven't tried them yet but I'm excited to!! I haven't had them but want to give the sour cream and onion a try. I haven't tried their chips yet, but salt and vinegar is right up my alley! I have yet to try these! I want to try the sour cream and onion. Never tried, but the Sour Cream and Cheddar sounds like it would be amazing! I've not found them in stores yet to try them, but anything with cheddar sounds delicious! I haven't tried them but I'm impressed by the 21 grams of protein! I think the Sour Cream & Cheddar sounds best. I have not tried Quest Chips and Sea Salt would be great! I would try salt and vinegar. Thanks for hosting this giveaway! Haven't tried these, but they're intriguing. Sour cream & onion sound good! I've seen these on Instagram, but haven't tried them. I'm intrigued! I want to try sour cream and onion. I've seen these on Instagram, but haven't tried them yet. I want to taste the sour cream and onion. I haven't tried them yet but I would love to try Cheddar & Sour cream. I have not tried them. Cheddar and sour cream look good. I haven't tried any, but the sour cream and cheddar sound good! I would try the cheddar and sour cream. 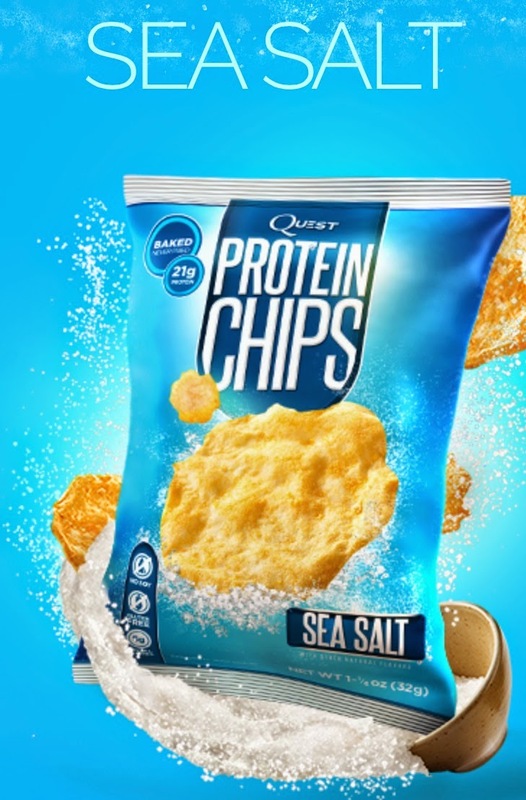 this is first I have heard of protein chips. I've never tried the chips but I'd love try the salt and vinegar! Haven't tried them but want to so bad!! Just sea salt for me, please! I only just discovered Quest Bars, and I REALLY want the chips now!!! Cheddar sounds sooo good!! I haven't tried them, but the Salt & Vinegar sounds tasty. I haven't tried any yet but I LOVE Quest bars and I'm sure these will be amazing. Sea salt or Cheddar. I love chips! I have never tried these chips. I think I would like the Sea Salt & Vinegar flavor. I've tried them and love them, especially the BBQ! Haven't tried them, would love to try salt and vinegar! the salt and vinegar look delish! I haven't tried them. I'd probably open the sour cream and cheddar ones first. I've not tried these but you can't go wrong with sour cream and onion. 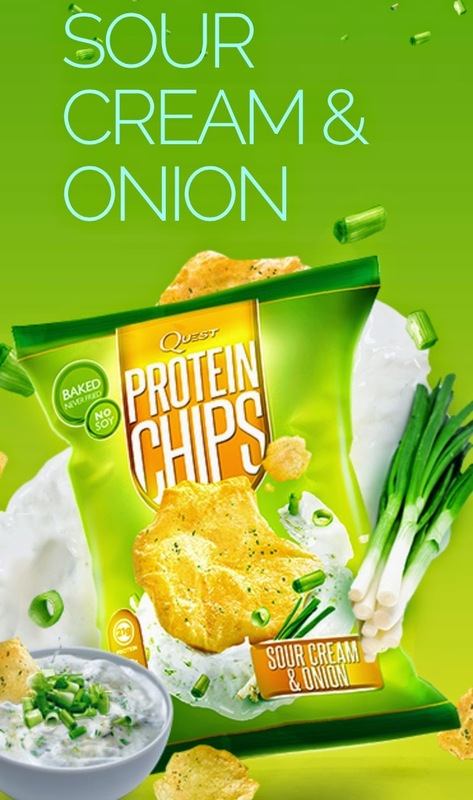 I have not tried the amazing Quest protein chips yet but I would love to try the BBQ flavoured ones! No, I have not tried Quest Chips. I would like to try the Salt and Vinegar flavor. I have not tried them but would like to try the Salt & Vinegar flavor. Yummy! I have such a salty crunchy craving at night!